Riverwoods Eye Center - Matthew S. Ward, M.D. Dr. Ward specializes in the diagnosis and treatment of corneal and external eye diseases, cataracts, ocular surface disease, and surgical correction of nearsightedness, farsightedness, astigmatism, and presbyopia. 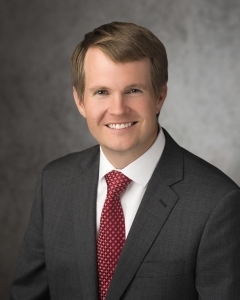 He is board certified by the American Board of Ophthalmology and a member of the American Academy of Ophthalmology, the Cornea Society, the American Society of Cataract and Refractive Surgery, the International Society of Refractive Surgery, the Utah Ophthalmology Society and the Iowa Eye Association. He has a special appointment as an examiner for the American Board of Ophthalmology. A native of Salt Lake City, he and his wife, Sara, have five children. Dr. Ward is committed to international eyecare and works regularly with The Luke Commission in Swaziland to provide medical and surgical services. He has provided free medical care in Peru, Nepal, Swaziland, Romania and the Republic of Moldova.